Before the kitchen reveal, I wanted to first touch base on refinishing the hard wood floors. If you have been following a long this renovation journey of mine, then you know that the wood floors are original from the 1930’s. Fortunately, the oak floors in the living and dining rooms, and the pine floors throughout the rest of the house, were in mint condition, and all they needed were a little spit shine. No sanding, just a new polished finish. As for the color of the floors, both the oak and pine had more of an orange shellac look to them, as I’m sure that was how most floors were finished at that time. With the color palette I chose, I wanted to see if the floors could be re-stained to a darker color, anything but orange. 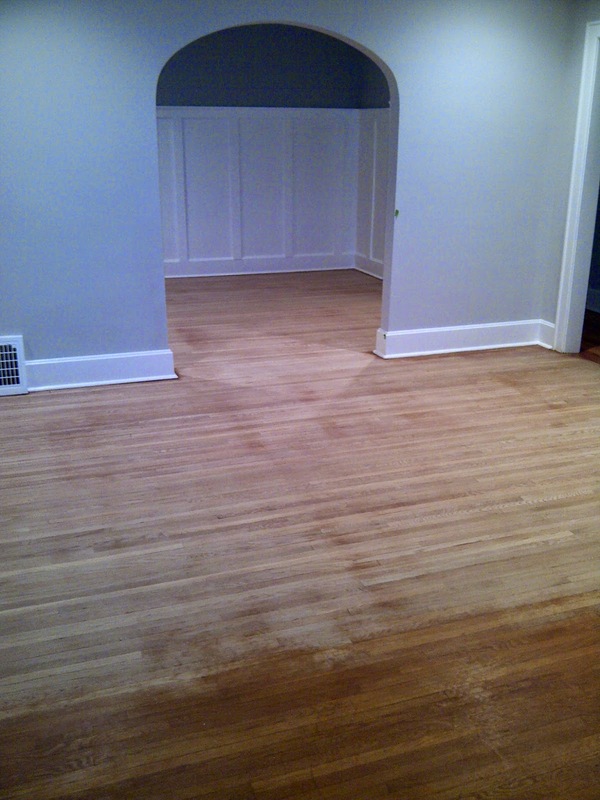 I decided to use a flooring restoration company called Mr. Sandless to come and re-do my wood floors. Instead of sanding the floors (which can be a very messy process), Mr. Sandless uses large abrasive pads to remove the floors’ finish. Surprisingly, the oak floors in the living and dining rooms had only the original orange wax finish on them (not shellac) and Mr. Sandless was able to expose the bare oak surface! I chose a warm brown/grey tinted stain to complement the large exposed fireplace mantel and the wall color palette. The hallway and bedrooms could not be re-stained and were just stripped and sealed (3 coats) with a satin finish. They did the whole house in only two days for a fraction of what it would have cost me to have the floors sanded, stained, and refinished...plus no dust! 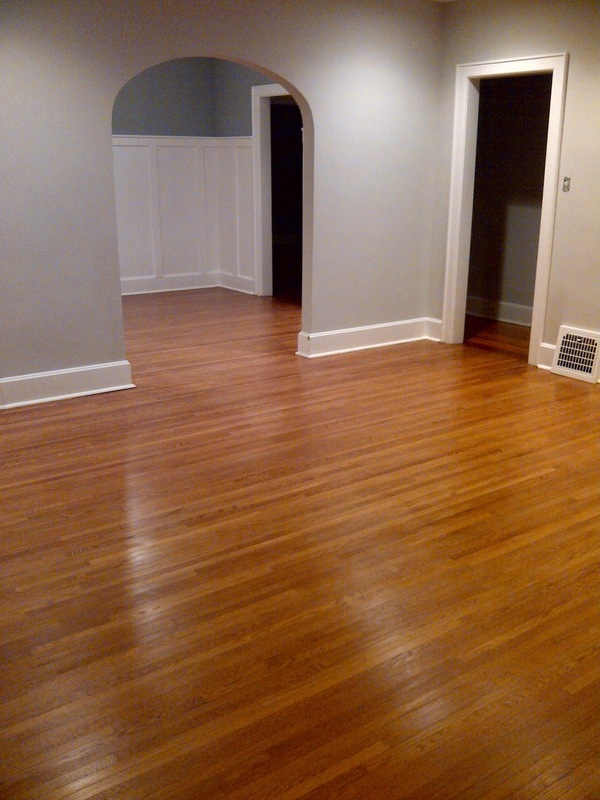 Check out the Living Room and Dining Room reveals for more pictures of the refinished wood floors! Kitchen reveal is up next! 2 comments on "REFINISHING HARDWOOD FLOORS"